This week has been hectic to say the least. We had a therapy appointment, a meeting with the principle, vice principle and teacher. I hate confrontation. My anxiety level has been at an all time high. I seriously had a rash on my chest Tuesday because I was so flipping angry. It was my month close at work. Let’s just say I am ready for the weekend. It’s Friday. I have work to finish up this crazy week. Then grocery shopping. The kids both have “Hang outs” after school but husband is taking care of those duties. It’s not a play date anymore, those are for babies I was told. 😦 We have to find a birthday present for a bowling birthday party tomorrow. My daughter goes to the party but my husband, son and I will be having a mean game of who can bowl the worst on some other lane. Much needed fun and relaxation. Daughter needs some new pants. And I guess we have to find valentines for the kids to give at school. Sunday is book club brunch and then the in laws will be over cause it’s been a while and I miss them. It should be a great weekend and I am really ready for it. Side note. 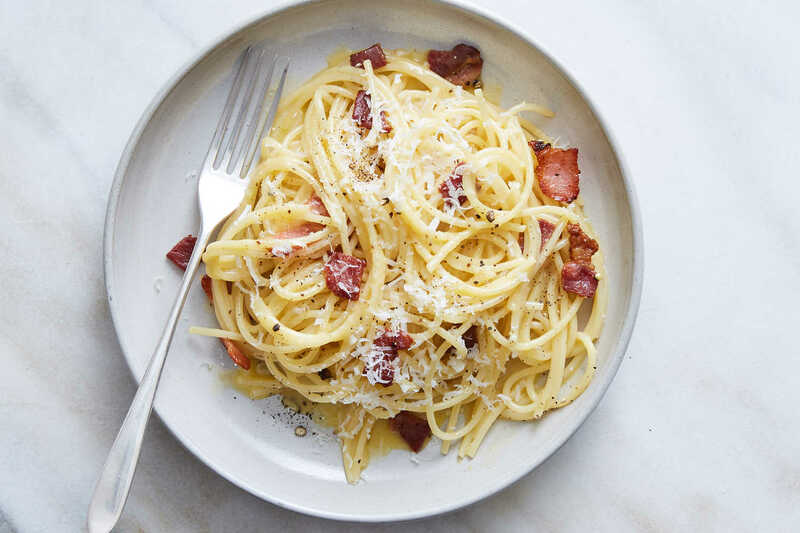 I made a seriously delish pasta carbonara on Tuesday. https://cooking.nytimes.com/recipes/12965-spaghetti-carbonara I added onions, peas, and cherry tomatoes. Cooked them in some of the fat from the bacon on the side and then mixed them after I mixed everything together. Happy weekend everyone! I hope you all have a great one. Be back Monday! 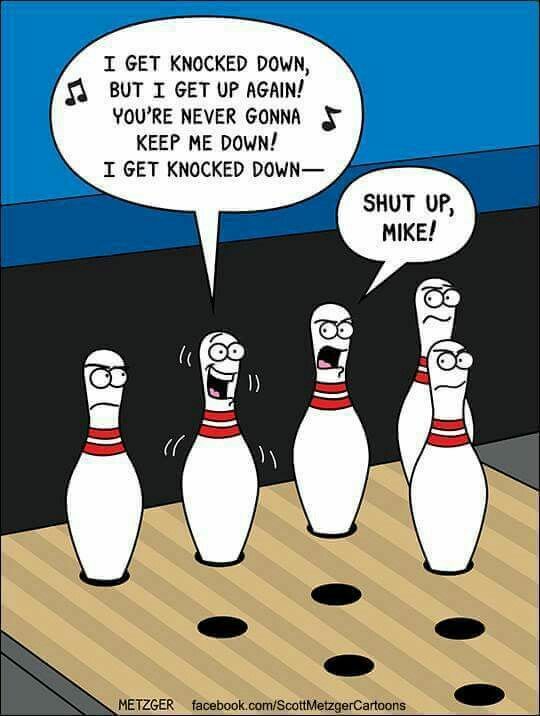 Enjoy bowling with your family! That pasta looks lovely! Sounds like you’re going to have a busy weekend but I’m sure bowling will be fun, I bet you never have a quiet minute with all the play dates and birthday parties!